We were blessed with such a magical evening last night. 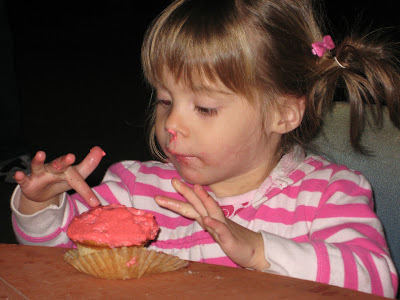 Lately we've been making Friday evenings family night. I'll pack up the kids and head up to Daddy's office and we'll all go out to dinner. 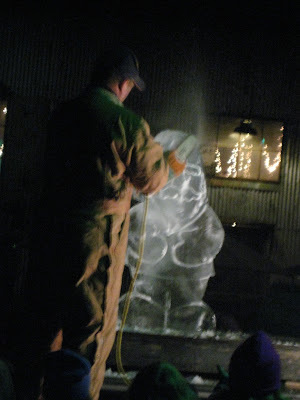 Last night we decided to try something different and went to find out what Ice Cutters Christmas was all about. 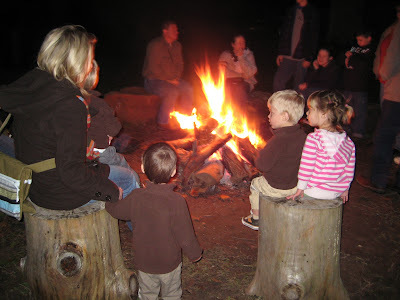 We headed north to the Silver Star Ranch and were greeted as if we were old family friends. 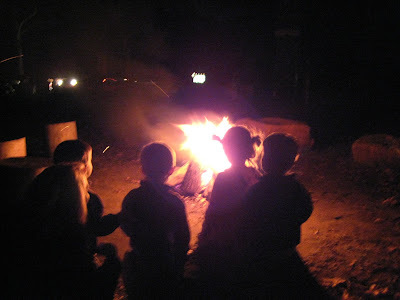 A warm inviting bonfire was roaring outside the barn. Inside was beautifully decorated for Christmas and full of yummy sweet and salty treats and hot chocolate. 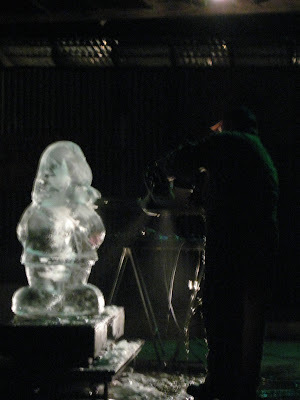 We arrived around 7:30 and they scooted us outside where a crowd was gathering to watch Jay Maclaskey entertain with a live ice sculpture carving. In less than 30 minutes, using a chain saw and an ice pick he transformed a 300 pound block of ice into jolly old St. Nick. The kids in the front of the crowd would scream with delight as the ice shavings would sprinkle over their heads. 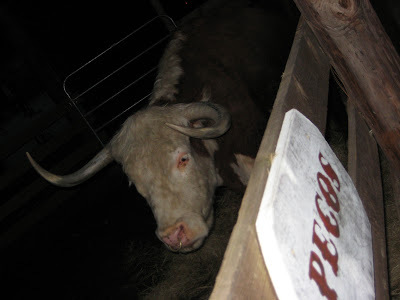 There were goats, sheep, ponies and a big Texas longhorn in the stables. 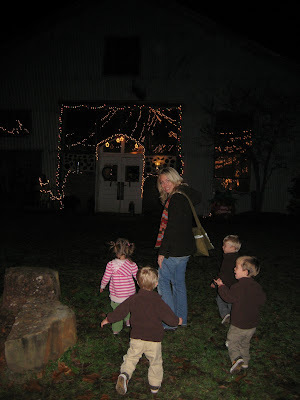 A jingle bell hayride pulled by a big red tractor got us up close and personal with the light displays at the back of the ranch. They had a craft table for making personalized Christmas ornaments and a snow ball battlefield where the big kids battled it out. No lines, no big crowds, it truly felt like it was just us and a few good friends. If you are in or around the Montgomery, Texas area (near The Woodlands & Conroe) you have got to take the time to check out Ice Cutters Christmas. They are open Friday & Saturday nights from 6 pm - 10 pm. It's $5 per person and kids 6 and under are free! It's nights like these that I hope the kids will remember as fondly as we do. I want to live in Houston. Wonderful Christmas memory for all of you! These are the moments the commercial calls "priceless". Missing you all, much love! Magical is right! I will have to remember this next year when we are down there to see my parents. Wishing ya'll a very Merry Christmas! You find the funnest stuff! We enjoyed the zoo and park with y'all yesterday. Thanks for including us! I love seeing all the activities your family does; these will be such great memories for the kids to look back on one day! The videos are priceless!